Tecla's Cangas no hole, two hole, or six hole washbasin is a porcelain sink that is best in a contemporary style master bath. 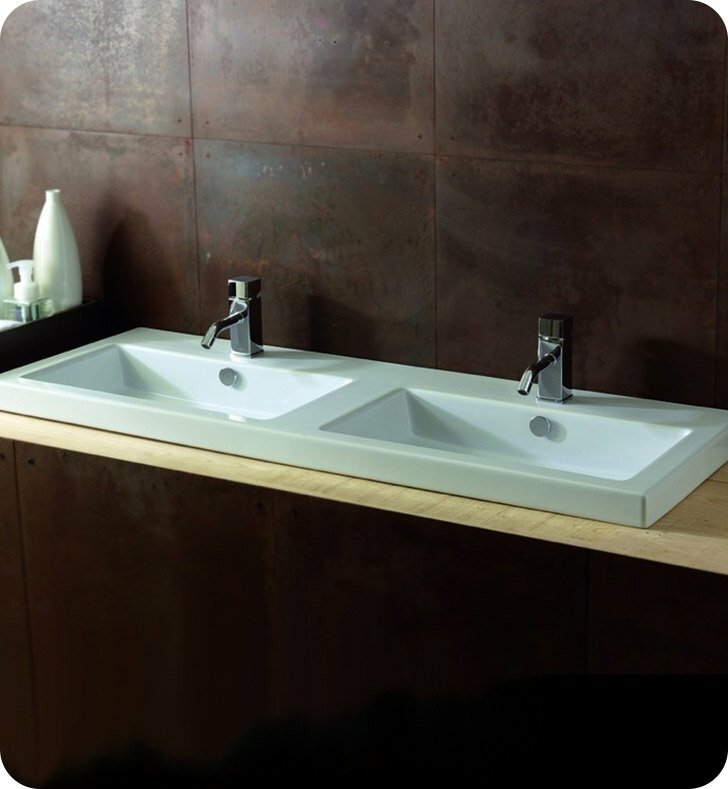 Made in and imported from Italy by Tecla, this wall mounted, drop-in, or vessel porcelain bathroom sink is a luxury option for your decorative bathroom. Match all your other white bathroom fixtures with this designer white washbasin, made in high quality porcelain.